After a prolonged period of time at the top of the hill, the legendary SR-009 is being upgraded, with the SR-009S headphones. With a much improved driver element, and rigid chassis, the latest SR009S is certainly a step up in performance. By fixing the electrode diaphragm it can become infinitely thinner, the air resistance will be de-creased and the permeability of sound waves will be improved. Technically thinner electrodes are poor in rigidity and suffer from vibrations of their own and the sound can become muddy and this is something that STAX had to overcome. The SR-009S has an improved the electrode design further than in the SR-009 with the integration of the most adavanced technology available. The edges of the electrode holes have been smoothened using an after-etching process to reduce air resistance, and make the permeability of sound even better. Moreover, by gold plating the electrode it has further decreased any unwanted vibrations. Finally, the sound clarity has been achieved by reducing the resistance of the electrode itself. The solid aluminium chassis firmly secures the driver, contributing to an improved clarity of sound. Furthermore, the case thickness has been reduced to limit the flow of condensation-and-rarefaction air waves from the sound element more smooth. The intensity has been increased by giving roundness to the “guard mesh” of the sound element, which has lowered the influence of reflection and improved the resolution of the sound being produced. Sennheiser have announced their successor to the HDVD800 with the launch of the HDV820 digital amplifier. 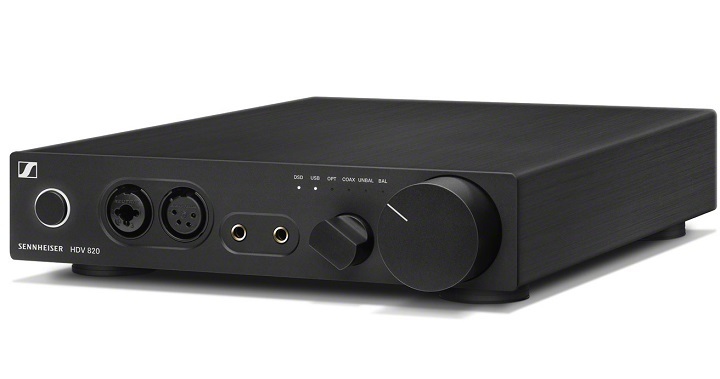 It was 2013 when Sennheiser first launched their HDVA600 analogue and HDVD800 digital headphone amplifier to pair with their HD800, HD700 and HD6xx range of headphones. They were incredible feats of engineering and the sound was amazing from both of the units. Wind on 4 years and Sennheiser are now replacing their much loved HDVD800 with the brand new HDV820 digital amplifier. Choosing to stick with the amazing and highly regarding ESS brand of DAC chipsets Sennheiser have chosen to up the anti and selected the DAC capable of receiving data from any source outputting up to 12.3MHz. The previous HDVD800 was capped to 24/192 so this will be a big step up. A bold move has also been taken by Sennheiser with their range of outputs levied on this new amplifier. With a breadth of audio outputs that include XLR3, XLR4, 6.3 mm- and a 4.4 mm Pentaconn socket, it is easy to find the optimal way to connect your headphones with the HDV 820. It performs brilliantly with digital sources, whether optically via coax or via USB, and features balanced (XLR) and unbalanced (RCA) analogue inputs. We are keeping an eye out at this years Munich High-End show in May as we will then have further details in relation to price. I speculate that it will be around the £1500 - £1600 mark and release date is still to be announced. Alongside Poly the Chord Hugo 2 was also officially unveiled at CES 2017. The new Hugo 2 features the latest WTA filters, better performance. This new breed of Hugo kicks off from where the original outstanding Hugo was. Increased performance and new filters take the Hugo series up another notch. The precision-machined aircraft-grade aluminium case has a sharper, lower profile design than the original Hugo and four spherical control buttons. The spheres, which are top-mounted, allow for future expansion side-modules. The top-mounted volume-control sphere that was found on the original Hugo has been retained and made larger for more intuitive operation. The stylish new design and additional functionality has further made the Hugo a device for both indoor and outdoor usage and with the inclusion of a full-function remote control adds further flexibility and the practical line-level output mode of the original has also been retained. 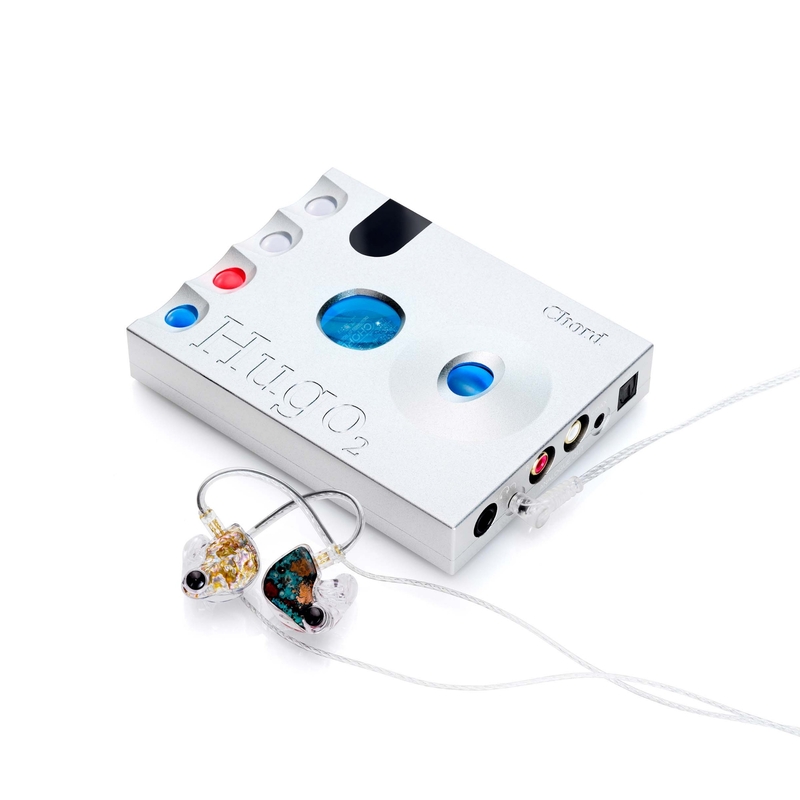 All areas of the original Hugo have been improved upon with performance gains having been made in timing accuracy, noise reduction, headphone amp power and dynamic range. Akin to Hugo the Hugo 2 offers four digital inputs (optical, coaxial and HD USB) plus extended-range Bluetooth, with high-resolution file playback up to 768kHz and up to DSD512 (Octa DSD), via its HD USB input. 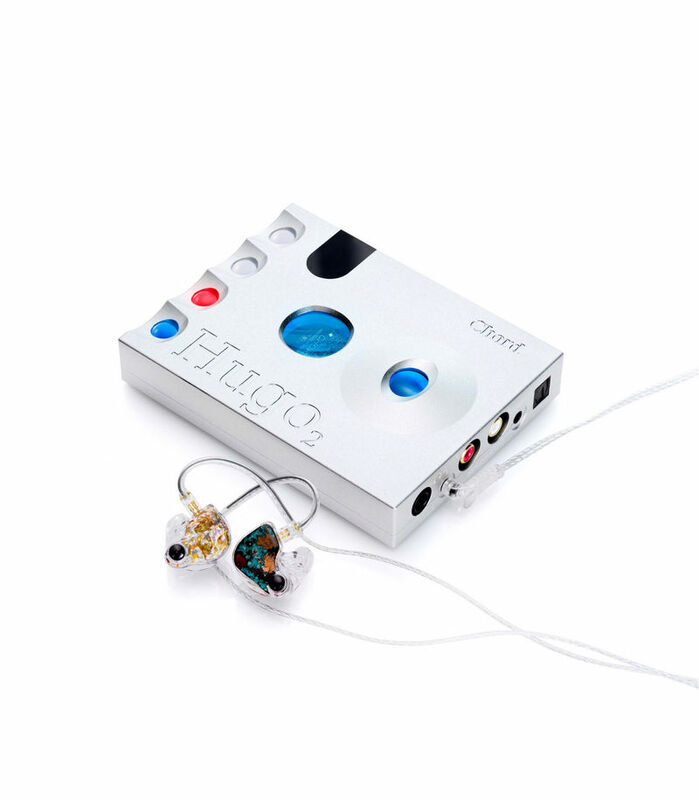 Analogue outputs include 2x RCA, plus 3.5mm and 6.35mm headphone outputs. A new addition comes in the form of four-function switch filter, operated by its own control sphere. This offers the user a useful degree of user-selectable frequency-shaping, bringing warm and soft or transparent and incisive presentations, giving additional flexibility and user control. Battery playing time has increased to c.14 hours and USB fast charging over micro has been included: fast (1.8 amperes) and slow (less than one ampere). An indicator shows charging and battery-charge status. To further improve of the output stage and reduce distortion even more brand new digital DC servos have replaced the inline capacitors which helps power-drive performance and capability of the output stage.